Are you renovating your garden? If you are on the hunt for garden lawn turf, choose Abbey Landscapes and Turf. For many of us, the lawn makes up a large proportion of our gardens, so make sure you don’t compromise on quality when selecting your turf. If you are replacing the lawn in your garden, you want to make sure that you are investing in the best possible turf for your budget. At Abbey Landscapes and Turf, we are the leading turf suppliers in the area, and have acquired a superb reputation for the quality of our products. We supply rolls of turf by the metre, so whatever size your garden may be, we can provide just the right amount of turf for your lawn. We grow all lawn turf ourselves rather than sourcing it from external suppliers to ensure it meets the high standards our customers expect. Unlike many other companies, we do not grow our turf on netting. 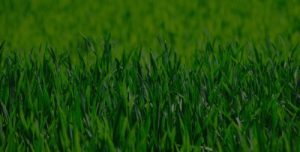 Our turf is grown in the finest sandy soils and is inspected on a daily basis to ensure it is constantly in great condition for our customers. For a garden that is vibrant and weed-free, Abbey Landscapes and Turf should be your number one choice. Many customers come back to us time and time again to keep their private or commercial gardens looking crisp and fresh. It can be hard to find a company that will not only supply your turf, but also prepare the ground and apply it for you. However, at Abbey Landscapes and Turf, we have 25 years’ providing a comprehensive lawn turf service. We can recommend the best lawn for your requirements and give professional advice on how best to care for your turf once it has been laid. Once you have placed your order, we aim to deliver our freshly harvested turf directly to your garden within 24 hours. We can deliver your grass by crane or fork truck depending on which is easiest for your property. Just let us know your requirements and we can tailor our services to meet your needs. We know how annoying it can be when companies give you broad delivery windows of several hours. This is why, at Abbey Landscapes and Turf, we provide you with an exact delivery date and time so you are not left waiting all day for your turf to arrive. Our delivery times are flexible, so you can arrange to have your garden lawn delivered in the morning or afternoon, depending on which is more convenient for you. If you have any questions regarding our garden lawn turf, get in touch on 02380 812302 or send an email to info@abbeyturf.co.uk.